Prince of Wales Road, Norwich. A place that tends to have rather a reputation for bars and clubs of all kinds, excessive drinking, fighting, and a heavy police presence and the SOS bus at the weekend. 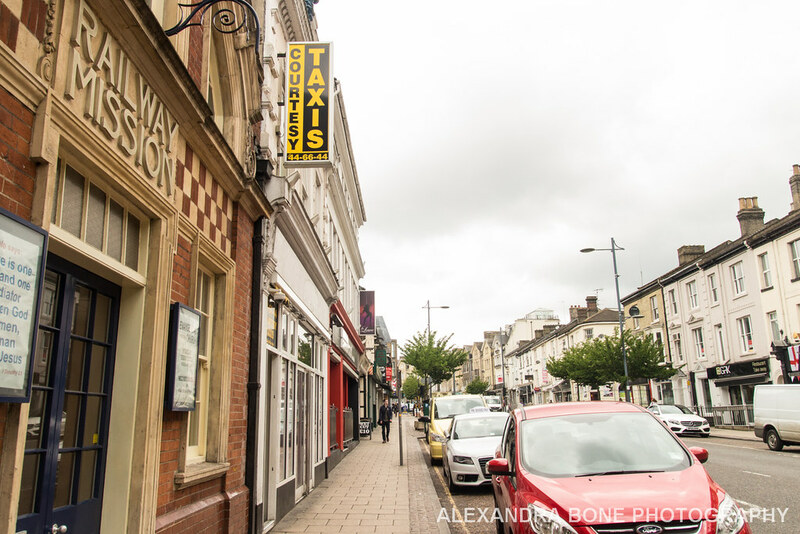 But amongst the nightspots, taxi ranks and takeaways at the Riverside end of the road stands a fantastic little Grade II listed building. I am ashamed to confess I didn't notice it for years, mainly because I normally rush down this road as quickly as possible, concentrating entirely on my destination rather than the surroundings. It is a fantastic little building, and apparently quite easy to miss if you're not paying attention. 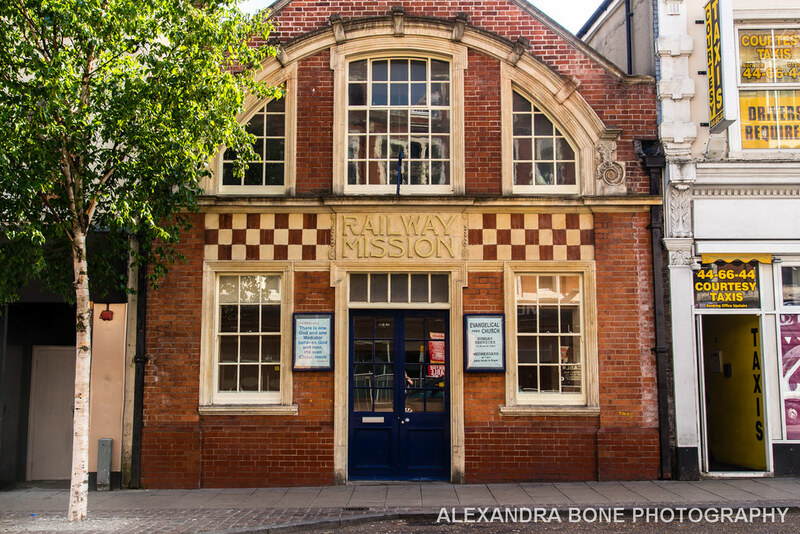 Opposite Mercy and Rocco's, it is now occupied by the Norwich Evangelical Free Church. 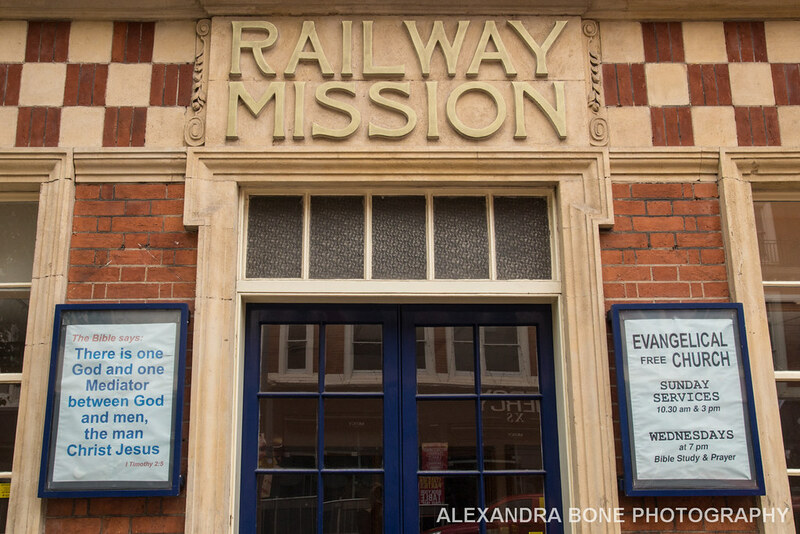 The brick colours are fantastic, and the detail on the Railway Mission sign very pleasing. The building is also in very good condition but for a small bit of graffiti. A total treasure of a place. 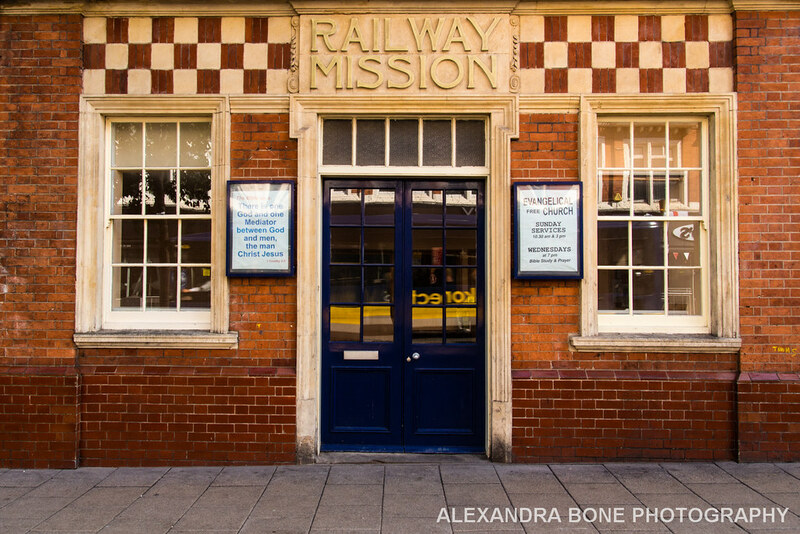 The Railway Mission itself is a British Mission and charity devoted to those in the railway industry and was founded in 1881. 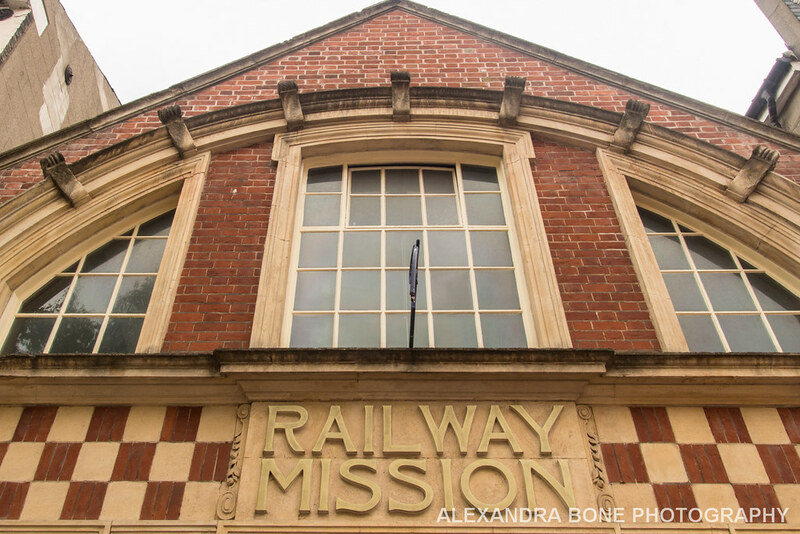 This building is apparently one of the best examples of a Railway Mission hall left standing. 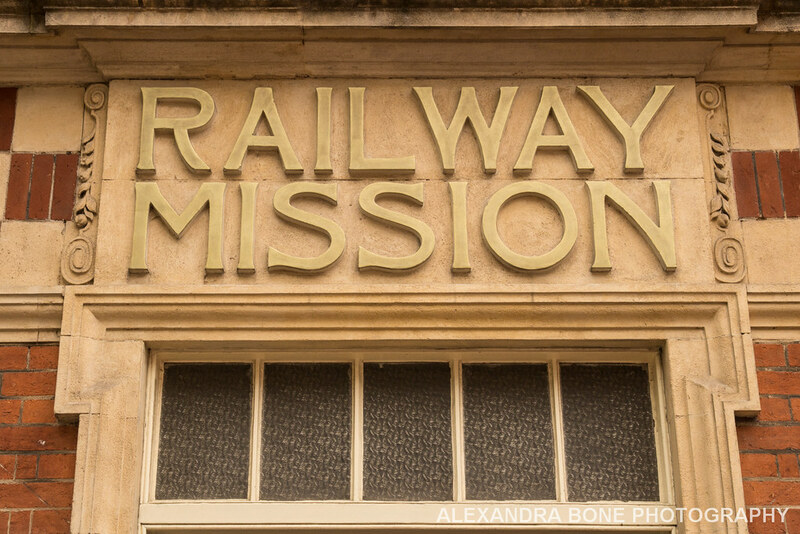 See http://www.railwaymission.org for more details. These photos were taken over the course of two days, as there is a time restricted parking bay in front of the building. I love the colour of the building in the sunlight. It makes all the different building materials really noticeable, with the bricks at the bottom of the building having a shiny finish.